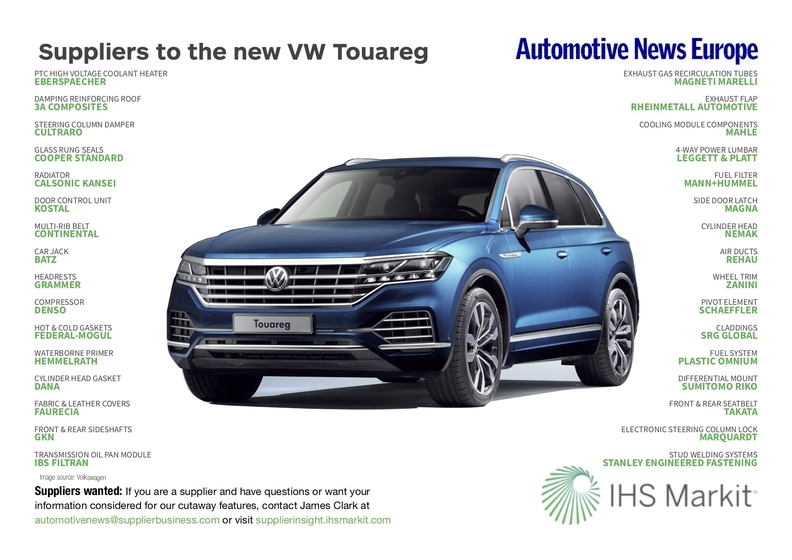 Assembly of the third-generation Volkswagen Touareg began in January 2018 at parent VW Group's plant in Bratislava. Slovakia. Output is expected to peak at more than 66,900 units in 2019, according to IHS Markit.